For the Word of God is quick (living) and powerful and sharper than any two-edged sword, piercing even to the dividing asunder of soul and spirit, and of the joints and marrow, and is a discerner of the thoughts and intents of the heart – Hebrews 4:12). 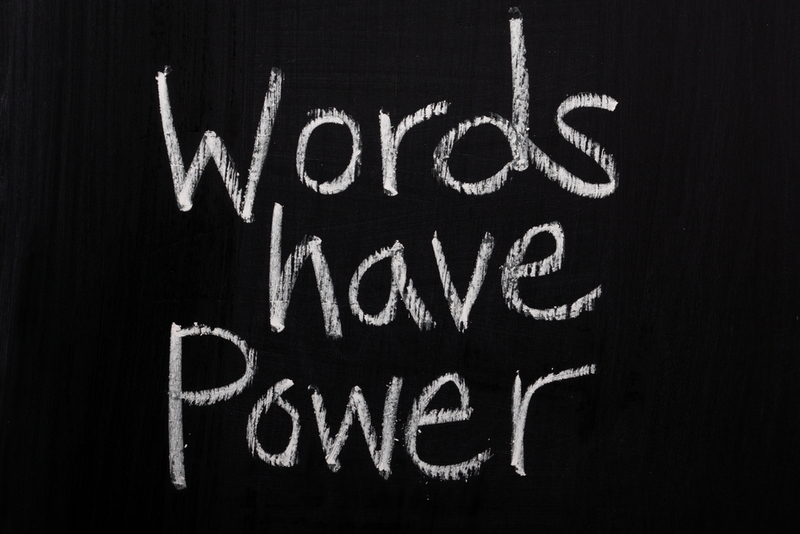 Words are powerful and they will create an atmosphere, they will manifest in the natural what’s in the spirit realm. When God created the world, He spoke it into existence using words. Jesus informed the disciples if they abide in Him and, His words abide in them they could ask what they will and it would be done ( If ye abide in me and my words abide in you, ye shall ask what ye will, and it shall be done unto (for) you – John 15:7). Words create and they destroy, they will bless or curse, so what you say about yourself and others can either bring a blessing or a curse. We should beware of what we speak, if it wasn’t so, God wouldn’t have left His Word for us (Proverbs 6:2 Thou art snared with the words of thy mouth, thou art taken with the words of thy mouth). A snare is a trap, lure, decoy, trick, and it can also become dangerous. We should always keep in mind when we read the Bible; it is God speaking to us through His written Word. If we follow the instructions it will keep us from a lot of regrets. There was a Centurion who was a Roman soldier who had a servant who was sick, although the Centurion wasn’t a follower of the Lord, he knew the importance of authority, and He recognized the authority given to Jesus by His Father. When the Centurion requested the help of the Lord for his servant; he told the Lord, he was not worthy for Him to come to his house, but just speak the Word and his servant would be healed. God’s Word has authority! When we speak the Word of God know that God is going to perform His Word. The Word of God can go into areas where people can’t go. You can speak the Word of God to Australia, you and I may not be able to travel there, but the Word of God can be sent by a spoken word. We should make it a habit of confessing the Word of God over our lives and loved ones, it may not come into manifestation instantly, but keep speaking it and it will come to manifestation. Whatever you are praying for, you cannot give up, continue to pray and speak the Word of God until you see a manifestation or until God tells you to stop. Now, you can’t speak the Word of God over something that belongs to someone else and think you will receive it because you will not, God doesn’t bless covetousness (Ephesians 5:3 But fornication, and all uncleanness, or covetousness, let it not be once named among you, as becometh saint). As children of God we should never covet what someone else has, if we do, it is considered sin by God. God’s Word is truth and spirit; it can bring life to dry and dead situations. God’s Word can bring healing when the doctors have given a negative diagnosis, God’s Word can bring peace in a confused atmosphere. God’s Word can and will bring peace in your heart and mind as we begin to focus on the Word of God and not the circumstance. As children of God, we go through many trials and tribulations, we are either in a trial, coming out of a trial or going into one, and sometimes we will get weary and that is the human side of us. Sometimes all we see is darkness, that’s when we have to begin to speak the Word of God, if we don’t; that’s when Satan will plague our mind with doubt, worry, anger, hurt and sometimes we will get upset with God because He hasn’t moved as quickly as we desired Him to. Thoughts will come to your mind, but you can’t allow them to set up house in your mind if so, we would be numb by the distresses. Life will bring distresses whether you’re a believer or unbeliever, the difference with the believer, God has promised us, He would put no more on us than we can bear. So when you’re going through various trials, remember the Word of God (James 1:2-3 My brethren, count it all joy when ye fall into divers (various trials) temptations; knowing this, that the trying (testing) of your faith worketh (produces patience). Test and trials will either build your faith or weaken it. That is why as believers we must build our faith on the Word of God and not have our confidence in things and people. When you feel you can’t love, speak the Word of God to yourself (1st John 4:8 he that loveth not knoweth not God; for God is love). When the things of the world are pulling on you (1John 2:15-16 Love not the world, neither the things that are in the world. If any man love the world, the love of the Father is not in him. For all that is in the world, the lust of the flesh, and the lust of the eyes, and the pride of life is not of the Father, but is of the world).When you feel as though your prayers are not being answered (Mark 11:24 Therefore I say unto you, What things soever ye desire when ye pray, believe that ye receive them, and ye shall have them). God watches over His Word to hasten to perform them. He’s not watching our tears and anxiety, but He does watch and see whether or not we will be in faith or fear. Without faith we can’t please God neither will we receive answers to our prayers when in doubt.